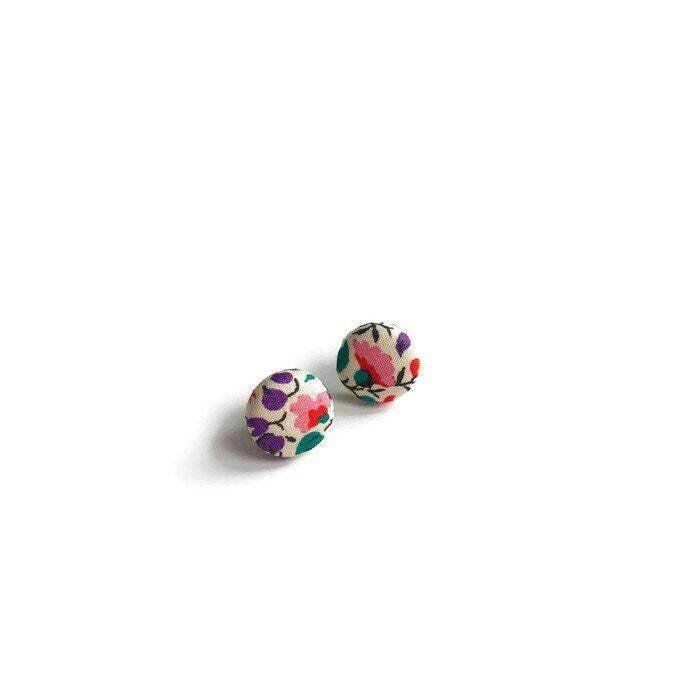 Tiny and lovely earrings made with a small metal button covered with colorful pieces of Liberty of London fabric. The stud are stainless steel so you won't risk any allergies. 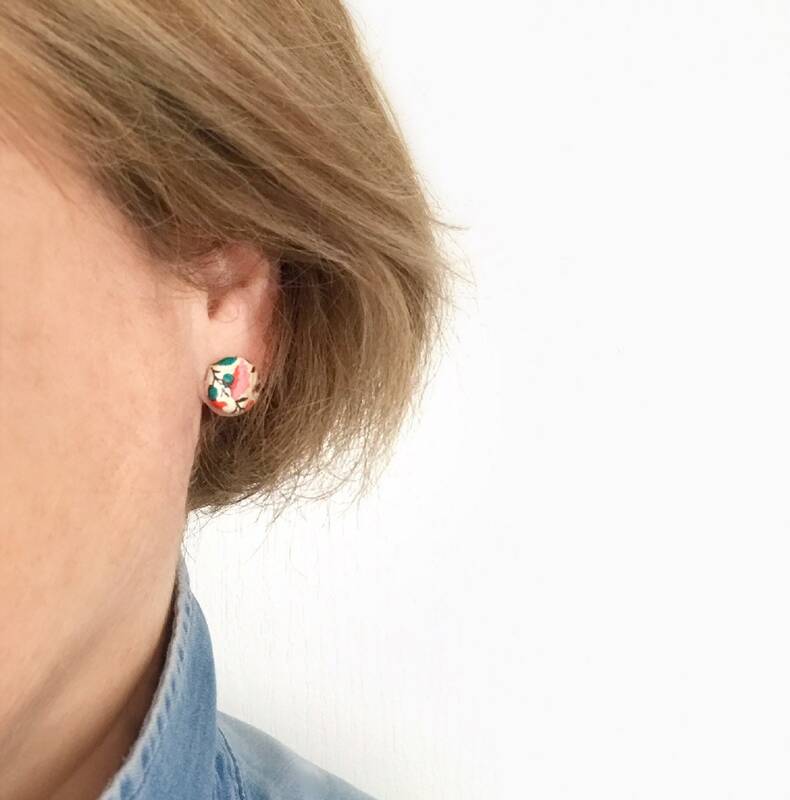 These lovely earrings can be worn all year long. 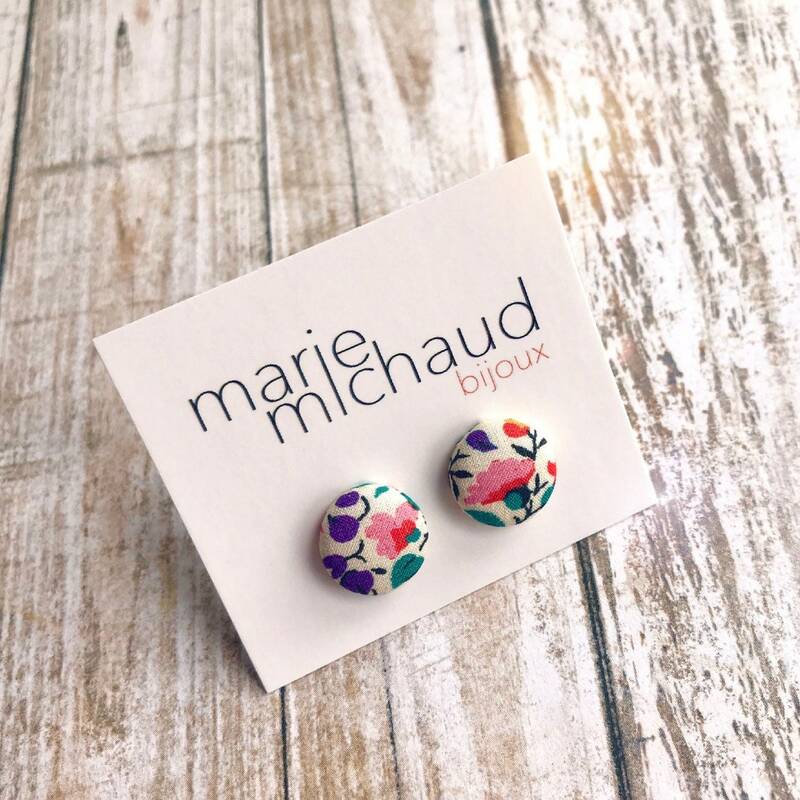 They will bring a colorful touch to any outfit! They will be a perfect gift for women of all ages or even teenagers. 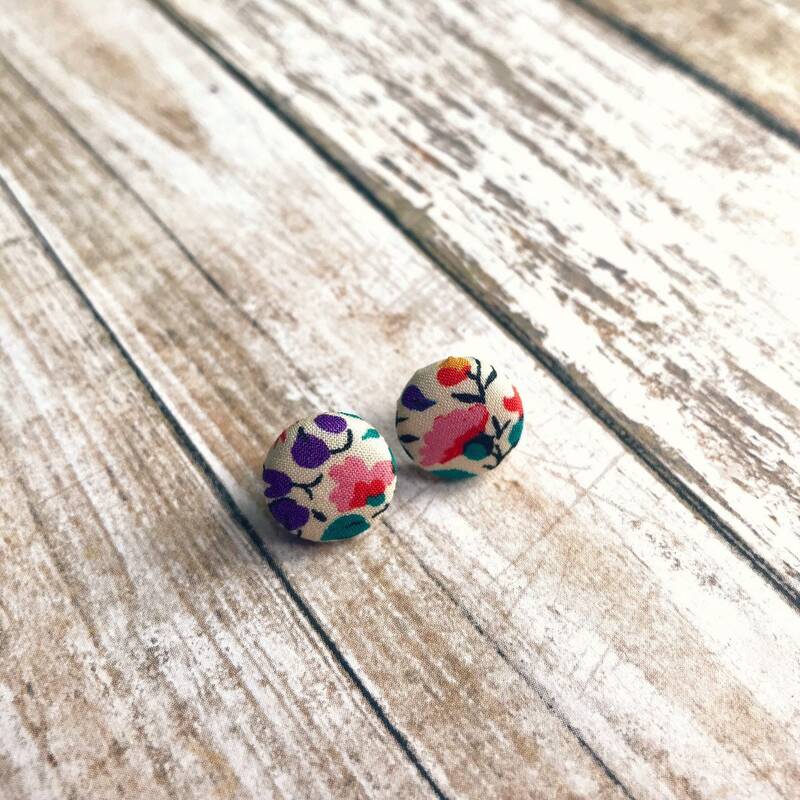 These earrings made with gorgeous Liberty-of-London Tana Lawn fabric. Tana Lawn cotton is unique. Made from specially selected ultra-fine cotton and finished without the use of crease-resisting chemicals or irritating allergens, the result is a famous masterpiece of fabric technology with brilliant reproduction of colors and prints! Please keep these earrings away from water, make-up and household products. 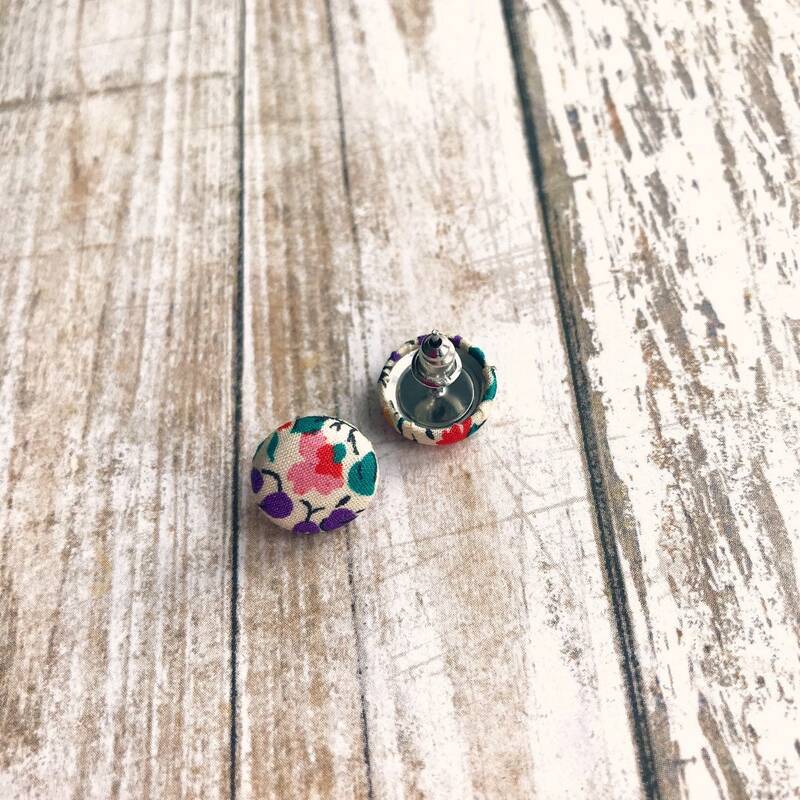 However, the earrings can be delicately cleaned with a little soap and water. Stainless steel studs, allergy free.